This is a legal agreement between you and “CubaRemixes.com” (CubaRemixes.com) stating the terms that govern your use of the CubaRemixes.com music service (Service). This agreement – together with all updates, additional terms, software, licenses, and all of CubaRemixes.com rules and policies – collectively constitute the ‘agreement’ between you and CubaRemixes.com. If you do not agree to these terms, please abort the registration process, leave the website. You must accept and abide by these terms as presented to you. Changes, additions or deletions are not acceptable and CubaRemixes.com may refuse access to the CubaRemixes.com music service for non-compliance with any part of this agreement. (ii) You agree with all the clauses of the present agreement. (iii) You agree with the fact that you are not able to use or to download audio materials from CubaRemixes.com if it is in the conflict with legislation of your country. CubaRemixes.com / CubaRemixes.com is unable to control all CubaRemixes.com users, therefore you are responsible for usage of the materials represented on the CubaRemixes.com website. 1. Definition of the CubaRemixes.com music service. CubaRemixes.com is the provider of the CubaRemixes.com music service (the ‘Service’) that permits you to purchase downloads of digital content—such as sound recordings (‘Products’)—under certain terms and conditions as set forth in this Agreement. Use of the Service requires a compatible device, Internet access (fees may apply), and certain software (fees may apply), and may require obtaining updates or upgrades from time to time. Because use of the Service involves hardware, software, and Internet access, your ability to use the Service may be affected by the performance of these factors. High speed Internet access is strongly recommended. You acknowledge and agree that such system requirements, which may be changed from time to time, are your responsibility. The Service is not part of any other product or offering, and no purchase or obtaining of any other product shall be construed to represent or guarantee you access to the Service. You agree to provide accurate, current, and complete information required to register with the Service and at other points as may be required in the course of using the Service (“Registration Data”). You further agree to maintain and update your Registration Data as required to keep it accurate, current, and complete. CubaRemixes.com may terminate your rights to any or all of the Service if any information you provide is false, inaccurate or incomplete. You agree that CubaRemixes.com may store and use the Registration Data you provide for use in maintaining your account and balance. 5. User Account and Security. a. Account and Password. As a registered user of the Service, you may establish an account (‘Account’). You are solely responsible for maintaining the confidentiality and security of your Account. You should not reveal your Account information to anyone else or use anyone else’s Account. You are entirely responsible for all activities that occur on or through your Account, and you agree to immediately notify CubaRemixes.com of any unauthorized use of your Account or any other breach of security. CubaRemixes.com shall not be responsible for any losses arising out of the unauthorized use of your Account. b. Security. You agree not to violate or attempt to violate any security components of the Service. You agree not to attempt to, or assist another person to, circumvent, reverse-engineer, decompile, disassemble, or otherwise tamper with any of the software and/or website components related to the Service for any reason whatsoever (‘Usage Rules’). Usage Rules may be controlled and monitored by CubaRemixes.com for compliance purposes, and CubaRemixes.com reserves the right to enforce the Usage Rules with or without notice to you. You will not access the Service by any means other than through software that is provided by CubaRemixes.com for accessing the Service. You shall not access or attempt to access an Account that you are not authorized to access. You agree not to modify the software in any manner or form, or to use modified versions of the software, for any purposes including obtaining unauthorized access to the Service. Violations of system or network security may result in civil or criminal liability. CubaRemixes.com and the CubaRemixes.com music service provide chargeable Services. You pay for the Service before the Service is provided (prepayment) according to rules and rates. You acknowledge that use of Products may require the use of other hardware and software products (e.g., the ability to make copies of Products on physical media), and that such hardware and software is your responsibility. Once a Product is purchased and you receive the Product, it is your responsibility not to lose, destroy, or damage the Product, and CubaRemixes.com shall be without liability to you in the event of any loss, destruction, or damage. All sales are final. No refunds are provided whatsoever. Also in case of cancellation or suspension of your account, damage, destruction or loss of your Products, refunds will not be applicable. a. Payment for Products. You agree to pay for all Products you purchase through the Service, and that CubaRemixes.com may charge your credit card or other payment system integrated on the website for any Products purchased, and for any additional amounts (including any taxes) as may be accrued by or in connection with your Account. You are responsible for providing CubaRemixes.com with a valid credit card information or information for other payment system presented on the website for payment of all fees. CubaRemixes.com has the right to change prices and availability of any Products at any time. c. Electronic Signatures and Contracts. Your use of the Service includes the ability to enter into agreements and/or to make purchases electronically. You acknowledge that your electronic submissions constitute your agreement and intent to be bound by and to pay for such agreements and purchases. Your agreement and intent to be bound by electronic submissions applies to all records relating to all transactions you enter into on this site, including notices of cancellation, policies, contracts, and applications. a. Your use of the Products is conditioned upon your prior acceptance of the terms of this Agreement. b. You shall be authorized to use the Products only for personal, non-commercial use. c. The delivery of Products does not transfer to you any commercial, copyright or promotional rights to the Products. d. You agree that your purchase of Products constitutes your acceptance of and agreement to use such Products solely in accordance with the Usage Rules, and that any other use of the Products may constitute a copyright infringement. The Usage Rules shall govern your rights with respect to the Products, in addition to any other terms or rules that may have been established between you and another party. CubaRemixes.com reserves the right to modify the Usage Rules at any time. e. You acknowledge that some aspects of the Service, Products, and administering of the Usage Rules entails the ongoing involvement of CubaRemixes.com. Accordingly, in the event that CubaRemixes.com changes any part of the Service or discontinues the Service, which CubaRemixes.com may do at its election, you acknowledge that you may no longer be able to use the Service as prior to such change or discontinuation, and that CubaRemixes.com shall have no liability to you in such case. f. The Service may offer interactive features that allow you to, among things, submit or post information and materials on areas of the Service accessible and viewable by other users of the Service and the public. You agree that any use by you of such features shall be your sole responsibility, shall not infringe or violate the right of any other, contribute to or encourage unlawful conduct, or otherwise be obscene, objectionable or in poor taste. Moreover, you hereby grant CubaRemixes.com a worldwide, royalty-free, non-exclusive license to use such materials as part of the Service, and in relation to Products, without any compensation or obligation to you. g. CubaRemixes.com reserves the right not to post or publish any materials, and to delete, remove or edit any material, at any time in its sole discretion without liability. You agree that the Service, including but not limited to graphics, audio clips, and editorial content, contains proprietary information and material that is owned by CubaRemixes.com and/or its licensors, and is protected by applicable intellectual property and other laws, including but not limited to copyright, and that you will not use such proprietary information or materials in any way whatsoever except for use of the Service in compliance with the terms of this Agreement. No portion of the Service may be reproduced in any form or by any means. You agree not to modify, rent, lease, loan, sell, distribute, or create derivative works based on the Service, in any manner, and you shall not exploit the Service in any unauthorized way whatsoever, including but not limited to, by trespass or burdening network capacity. b. Removal of CubaRemixes.com Content or Other Materials. Notwithstanding any other provision of this Agreement, CubaRemixes.com and its licensors reserve the right to change, suspend, remove, or disable access to any Products, content, or other materials comprising a part of the Service at any time without notice. In no event will CubaRemixes.com be liable for the removal of or disabling of access to any such Products, content or materials under this Agreement. CubaRemixes.com may also impose limits on the use of or access to certain features or portions of the Service, in any case and without notice or liability. All the materials in the CubaRemixes.com music service are available for distribution via Internet. All the materials are available solely for personal use. Further distribution, resale or broadcasting is prohibited. 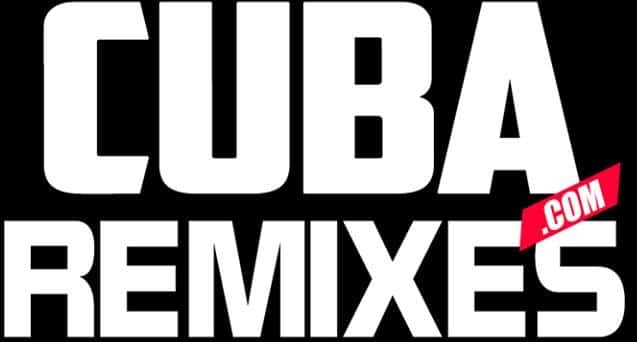 All copyrights in and to the Service, including but not limited to, the CubaRemixes.com music service (including CubaRemixes.com’s logo, graphics, the compilation of content, postings, links to other Internet resources, and descriptions of those resources), and software, are owned by CubaRemixes.com. a. Account termination by CubaRemixes.com. (iii) preclude access to the Service (or any part thereof). CubaRemixes.com reserves the right to modify, suspend, or discontinue the Service (or any part or content thereof) at any time with or without notice to you, and CubaRemixes.com will not be liable to you or to any third party should it exercise such rights. The Service is controlled and operated by CubaRemixes.com from its offices in Florida, USA. You agree to comply with all local, state, federal, and national laws, statutes, ordinances, and regulations that apply to your use of the Service. 15. Enforcement of These Terms. CubaRemixes.com reserves the right to take steps to enforce and/or verify compliance with any part of this Agreement (including but not limited to CubaRemixes.com right to cooperate with any legal process relating to your use of the Service and/or Products, and/or a third party claim that your use of the Service and/or Products is unlawful and/or infringes such third party’s rights). You agree that CubaRemixes.com has the right, without liability to you, to disclose any Registration Data and/or Account information to law enforcement authorities, government officials, and/or a third party, as CubaRemixes.com believes is reasonably necessary or appropriate to enforce and/or verify compliance with any part of this Agreement (including but not limited to CubaRemixes.com right to cooperate with any legal process relating to your use of the Service and/or Products, and/or a third party claim that your use of the Service and/or Products is unlawful and/or infringes such third party’s rights). 16. No Responsibility for Third-Party Materials or Web sites. Certain content, Products, and services available via the Service may include materials from third parties. In addition, CubaRemixes.com may provide links to certain third party websites. You acknowledge and agree that CubaRemixes.com is not responsible for examining or evaluating the content or accuracy of any such third-party material or Web sites. CubaRemixes.com does not warrant or endorse and does not assume and will not have any liability or responsibility for any third-party materials or websites, or for any other materials, products, or services of third parties. Links to other websites are provided solely as a convenience to you. 17. Disclaimer of Warranties; Liability Limitations. a. CubaRemixes.com does not guarantee, represent, or warrant that your use of the Service will be uninterrupted or error-free, and you agree that from time to time CubaRemixes.com may remove the Service for indefinite periods of time, or cancel the Service at any time, without notice to you. b. You expressly agree that your use of, or inability to use, the Service is at your sole risk. The Service and all products and Services delivered to you through the Service are (except as expressly stated by CubaRemixes.com) provided “as is” and “as available” for your use, without warranties of any kind, either express or implied, including all implied warranties of merchantability, fitness for a particular purpose, title, and no infringement. c. In no case shall CubaRemixes.com, its directors, officers, employees, affiliates, agents, contractors, or licensors be liable for any direct, indirect, incidental, punitive, special, or consequential damages arising from your use of any of the Services or for any other claim related in any way to your use of the Services, including, but not limited to, any errors or omissions in any content, or any loss or damage of any kind incurred as a result of the use of any content (or Product) posted, transmitted, or otherwise made available via the Service, even if advised of their possibility. d. CubaRemixes.com shall use reasonable efforts to protect information submitted by you in connection with the Services, but you acknowledge and agree that your submission of such information is at your sole risk, and CubaRemixes.com hereby disclaims any and all liability to you for any loss or liability relating to such information in any way. e. CubaRemixes.com does not represent or guarantee that the Service will be free from loss, corruption, attack, viruses, interference, hacking, or other security intrusion, and CubaRemixes.com disclaims any liability relating thereto. You shall be responsible for backing up your own system. By using the Service, you agree to indemnify and hold CubaRemixes.com, its directors, officers, employees, affiliates, agents, contractors, and licensors harmless with respect to any claims arising out of your breach of this agreement, your use of the Service, or any action taken by CubaRemixes.com as part of its investigation of a suspected violation of this agreement or as a result of its finding or decision that a violation of this agreement has occurred. This means that you cannot sue or recover any damages from CubaRemixes.com, its directors, officers, employees, affiliates, agents, contractors, and licensors as a result of its decision to remove or refuse to process any information or content, to warn you, to suspend or terminate your access to the Service, or to take any other action during the investigation of a suspected violation or as a result of CubaRemixes.com conclusion that a violation of this agreement has occurred. This waiver and indemnity provision applies to all violations described in or contemplated by this agreement. CubaRemixes.com reserves the right, at any time and from time to time, to update, revise, supplement, and otherwise modify this Agreement and to impose new or additional rules, policies, terms, or conditions on your use of the Service. Such updates, revisions, supplements, modifications, and additional rules, policies, terms, and conditions (collectively referred to in this Agreement as “Additional Terms”) will be effective immediately and incorporated into this Agreement. Your continued use of the CubaRemixes.com music service following will be deemed to constitute your acceptance of any and all such Additional Terms. All Additional Terms are hereby incorporated into this Agreement by this reference. CubaRemixes.com may send you notice with respect to the Service by sending an email message to the email address listed in your CubaRemixes.com Account contact information, by sending a letter via postal mail to the contact address listed in your CubaRemixes.com Account contact information, or by a posting on the CubaRemixes.com music service. Notices shall become effective immediately. The laws of the United States govern these Terms and your use of the Service. Your use of the Service may also be subject to other local, state, national, or international laws. You expressly agree that exclusive jurisdiction for any claim or dispute with CubaRemixes.com or relating in any way to your use of the Service resides in the courts of the United States. These Terms of Service constitute the entire agreement between you and CubaRemixes.com and govern your use of the Service, superseding any prior agreements between you and CubaRemixes.com. You also may be subject to additional terms and conditions that may apply when you use affiliate services, third-party content, or third-party software. If any part of these Terms of Service is held invalid or unenforceable, that portion shall be construed in a manner consistent with applicable law to reflect, as nearly as possible, the original intentions of the parties, and the remaining portions shall remain in full force and effect. CubaRemixes.com failure to enforce any right or provisions in these Terms of Service will not constitute a waiver of such provision, or any other provision of these Terms of Service. If any provision of this Agreement is found by a court of competent jurisdiction to be invalid, the other provisions will remain in full force and effect. CubaRemixes.com will not be responsible for failures to fulfil any obligations due to causes beyond its control. The CubaRemixes.com music service makes every effort to provide a broad music offering. For this reason, CubaRemixes.com reserves the right to change music catalogue without notice. a. CubaRemixes.com is not responsible for typographic errors. b. CubaRemixes.com reserves the right to change the terms and conditions of sale at the CubaRemixes.com music service at any time. Customers are encouraged to review the Sales Policies on a periodic basis for modifications. c. No CubaRemixes.com employee or agent has the authority to vary any of the CubaRemixes.com music service’s policies or the terms and conditions governing any sale in the oral form, by means of e-mail or in other way. All changes of Terms of Service of CubaRemixes.com Music Service occur by means of the publication in corresponding section of a website CubaRemixes.com.